The N.C. Blueberry Journal This blog, maintained by Bill Cline, research Extension specialist for NC State University , consists of posts about the latest disease concerns, guidelines for timely blueberry maintenance, such as pruning or fertilizing, and other topics of interest to blueberry producers. 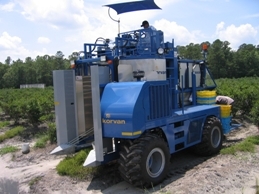 Blueberry Production for Local Sales and Small Pick-Your-Own Operators Although commercial production is mostly limited to southeastern North Carolina, blueberries can be grown anywhere in the state if the right blueberry species and proper soil modifications are used. This horticulture information leaflet provides the basics for small scale blueberry production. 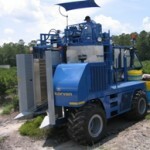 Suggestions for Establishing a Blueberry Planting in Western North Carolina Blueberry production in western North Carolina differs from the main commercial production areas in the southeastern part of the state because of differing climate and soil conditions. This horticulture information leaflet provides guidelines for mountain success. Blueberry Pruning Diagram These five slides illustrate the pruning strategy for blueberries from setting out new plants to well-established three-year-old bushes. eXtension “All About Blueberries” Community of Practice On this site, find blueberry resources compiled by the national Cooperative Extension System. Blueberry Organic Production This production guide, published by ATTRA, addresses key aspects of organic blueberry production, including soils and fertility, cultural considerations, pests and diseases, as well as marketing. Frost/Freeze Protection by Sprinkler Irrigation General information about using overhead irrigation to protect plants and fruit from frost/freeze events. Includes an explanation of the principle behind the practice and design tips for building an irrigation system. Web Soil Survey Web Soil Survey (WSS) provides soil data and information produced by the National Cooperative Soil Survey. It is operated by the USDA Natural Resources Conservation Service (NRCS).